A rise in EVs will boost demand for electricity. LONDON/FRANKFURT -- The UK's decision to say goodbye to fossil-fuel cars by 2040 could boost the need for dirtier natural gas-powered stations, a green utility company says. 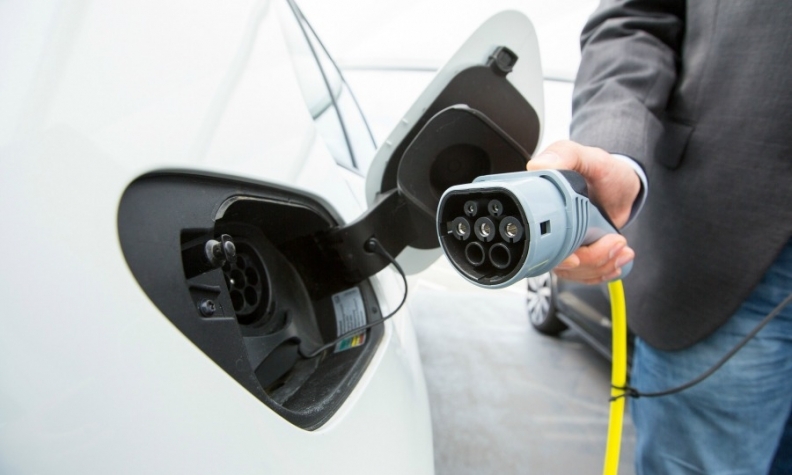 The government's goal to replace gasoline and diesel cars with those powered by electricity could see the construction of so-called open-cycle gas stations, said Carsten Poppinga, senior vice president of trading and origination at Statkraft AS, the Norwegian utility that operates hydro power plants and wind farms across the UK. Such units can keep the grid from buckling from the strain of people charging cars in peak demand periods. The catch? While the plants can start generating power almost instantly, they don't recycle waste heat, making them emit more greenhouses per megawatt than the combined-cycle stations that comprise the largest share of the UK's daily power output. Britain may have no choice but to use the less environmentally friendly option, though. With little spare generation capacity, the nation is vulnerable to power shortages, particularly on cold, winter days when wind and solar energy may be in short supply. "Fundamentally there isn't as much overcapacity on the British market as in Germany," Poppinga said by phone from Dusseldorf. "You could think about building open-cycle gas power plants to increase the flexibility in the system." Open-cycle gas generators cost less to build but have higher emissions per megawatt-hour produced than combined-cycle gas turbines. OCGTs convert about 33 percent of their fuel into power, while CCGTs manage as much as 60 percent, according to the fossil-fuel industry environment group IPIECA in London. That's still less dirty than oil, diesel or coal-fired stations, which can emit double what a gas-fired station does. Still, the flexibility of the plants will help more intermittent renewables enter the system, bolstering the shift toward cleaner energy, according to Drax Group Plc. The utility plans four open-cycle plants in the UK that it calls "rapid-response gas." Under UK environmental rules, the units can run a maximum of 2,250 hours, or about three months per year, a spokeswoman with the Selby, England-based company said. Drax doesn't expect to operate its plants for that long. The challenge for the UK is to have enough power plant capacity to cover demand peaks until electric-car users adjust their charging habits to when consumption and prices are low. Britain will need to add 52 terawatt-hours of power capacity between now and 2040, or 16 percent of what's available now, to meet extra demand thanks to electric vehicles, according to data from Barclays Plc and Bloomberg New Energy Finance. Some of the need for flexible power supply will be met by cables linking the UK to France, Norway and Belgium. "Massive investment in flexible power generation, electricity storage and the grid itself will be necessary to keep the lights on," Johannes Wetzel, a research analyst for cross-commodity analytics at Wood Mackenzie Ltd., said in an emailed note. The electric-vehicle rule will be "a challenge for power grid stability."